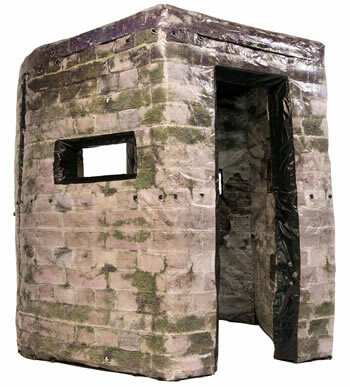 The Battlefield Inflatable Grande Pillbox is a fantastic central gaming inflatable. The grande pillbox stands 8 foot or 2.3m tall. The feature comes in a set of 3 parts, two flanks and one central piece.